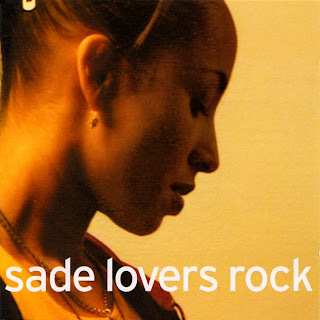 After an 8 year absence from the music scene, Sade returns with Lovers Rock. Sade had always been a culmination of Sade Adu's sultry and expressive vocals with a skilled trio of jazz-inspired musicians behind her. This album takes that to a new level. Starting off the Lovers Rock album with the beautiful first single "By Your Side" is a mixed blessing. It's like starting the Indy 500 with your fastest lap and winding down throughout the race. My personal favorite, "Somebody Already Broke My Heart," is just one of those songs that grab you by mood and lyrical content. "By Your Side," "King Of Sorrow" and the title track also stand out as really strong moments. The whole album has it's own groove and takes a bit for you to get into but once you are there you wonder why the disc is over. Although it says rock in the title, don't expect to be banging your head. This is more like light reggae/jazz. The production is beautiful and takes you to another place. If this is the true return of Sade, it's well welcomed.